Midway in his second tenure, Nawaz Sharif (NS) was toppled by Gen Musharraf in a military coup on October 12, 1999. His team of eleven charted the six-point development agenda and produced excellent results in first three years of military rule, but then the reform and growth agenda and accountability went for a six with the coming in of King’s Party in 2002. After getting his foe NS sentenced to life term jail by the Supreme Court, Musharraf sent NS, Shahbaz Sharif and their families into exile for ten years under Saudi mediated agreement in 2001. Although Mush failed to quash the lawyer movement which had sprung up in support of the sacked Chief Justice (CJ) Iftikhar in March 2007, before abdicating power in August 2008, he had deflated the popularity balloon of CJ Iftikhar and the steam of the movement. High expectations attached to the CJ fizzled out during the five-year inglorious rule of PPP. Once NS returned to power in June 2013 with a heavy mandate, he was faced with the worst energy crisis, slumped economy, destroyed state-run enterprises and high-intensity terrorism. While dealing with these challenges, he also decided to put the former president and army chief Mush on trial in a treason case on account of declaring an emergency on November 3, 2007, and interning 60 judges including CJ Iftikhar and subverting the constitution for the second time. NS had not pardoned Mush for the prolonged trauma he and his family suffered at his hands. Musharraf who had returned to Pakistan in May 2013 to take part in 2013 elections was arrested, and debarred from contesting elections. His Chak Shehzad farmhouse was converted into a sub-jail and multiple courts opened proceedings against him. To avoid indictment, he stayed in fortified AFIC for months guarded by troops of 111 Brigade. He was indicted in a treason case by a trial court and his name put on ECL. He, however, managed to escape to Dubai in 2015 under the plea of a backache and since then he is an absconder and wanted in several high-profile cases. It is said that the army under Gen Raheel Sharif (RS) had helped him in making good his escape. For five years, IK has been promising them to the people and lambasting the rulers, dubbing them as looters, characterless and a security risk. He kept the public amused and in a trance, cloned their minds, and they blindly believed that he is a magic man who will get rid of the rotten rulers, doctor all the ailments of Pakistan and transform it into a shining Pakistan in a flash. The more he heaped curses on his opponents, the more he received applause and accolades. PTI won the race in the July 2018 elections, but the losers cried out that unprecedented rigging had been carried out on the polling day during the counting of votes. So far the parliamentary committee has not been formed to probe the allegations of all opposition parties. PTI has formed governments in the Centre, Khyber Pakhtunkhwa (KP) and Punjab, and a coalition government in Baluchistan. It is the leading opposition party in Sindh Ministry. It has also easily captured the seat of President, thanks to the disgraceful role of PPP. Despite spectacular gains, PTI has achieved a simple majority in the Centre and in Punjab where PML-N has a strong presence. In the absence of a two-thirds majority, PTI faced difficulties in achieving the magical figures in National Assembly as well as in Punjab Assembly. But for a sting operation in South Punjab and other parts of Punjab, PTI couldn’t have formed a government in Punjab. Jahangir Tareen (JT) played a key role in steering the flock of independents towards his party, ignoring what Imran Khan (IK) had been stating against this soul selling lot. Similar kind of efforts was made at the federal level to reach the figure of 172. For this, IK had to make compromises by inducting PML Q, whom he had termed as the party of Dakoos, and MQM-P against whom he had been spitting scorn. MQM-P’s 7-point demand-list and BNP-M 6-point agenda were accepted to take them on board. Both agendas are anti-military/intelligence agencies. Although Gen Mush didn’t take part in the elections and his party APML didn’t secure a single seat, but a majority of IK’s federal cabinet are the teammates of Musharraf. All the coalition partners of PTI are from Old Pakistan and as expected are seeking their pound of flesh and creating obstacles in the way of shaping Naya Pakistan. Out of 21-member federal cabinet selected by IK, which has now expanded to 28 on Sept 11, 12 ministers are those who were part of Mush regime. Sheikh Rashid (SR) had all along been part of PML-N and was in very good books of NS. He became a key player in the King’s Party formed by Gen Musharraf in 2002 and held key Ministries of Information and Railways. He later formed his own party Awami Muslim League (AML) and got aligned with PTI and became the right-hand man of IK. After the resignation of NS on July 28, 2017, IK fielded SR to contest the vacant PM seat. He has now been awarded his old portfolio of Railways Minister. MQM-P has only 7 seats in the National Assembly, but it has been awarded two ministries in the federal cabinet. Farogh Nasim had served as a Law Minister in Mush regime and later on, Musharraf had appointed him as his defence lawyer in the treason case framed against him. Farogh has now been given Law Ministry. Khalid Maqbool Siddiqui, head of MQM-P, who was also part of Mush regime, has been assigned Ministry of Information Technology. Ch Tarar Bashir Cheema has taken over the Ministry of Frontier Works. An old PPP stalwart and a suspected member of Al-Zulfiqar, he was jailed in 1981 but was released along with other PPP convicts in exchange for the release of passengers of PIA that was hijacked to Kabul. He stayed out of the country till 2003 and then joined the ruling PML-Q. He got elected on PML-Q ticket in 2018 elections. Another old PPP leader Ghulam Sarwar who had served as a minister in Shaukat Aziz cabinet in 2004 has been awarded Ministry of Petroleum. Zubaida Jalal from Baluchistan contested 2002 elections on PML-Q ticket and soon became the darling of Mush and George W. Bush since she actively pursued Mush’s policy of enlightened moderation to show the soft face of Pakistan to the world. She was given the portfolio of Education Minister. In 2008, she was involved in a corruption scam. Rs 50 crore had been embezzled that were to be spent on streamlining Madrassas into the national education system. In the 2010 Pildat Report, Zubaida was declared as a second richest person in Baluchistan. Her total assets are worth Rs 5 crores 78 lacs. She has now been assigned Ministry of Defence Production. Makhdoom Khisro was in Ministry of Foreign Affairs during Mush regime. He has been allotted Ministry of Environment. Fawad Choudhry was the spokesman of Musharraf led All Pakistan Muslim League Party. In 2012, he joined PPP and managed a ministry in the cabinets of both Gilani and Pervez Ashraf. In 2016, he joined PTI and after gaining complete trust of IK, he became the spokesman of the party. He was among the aspirants for Chief Minister (CM) Punjab chair. Shafqat Mehmood (Education Minister), Pervez Elahi (Speaker Punjab Assembly), Jahangir Tareen, Aleem Khan, Umar Ayub, Amer Kayani, Mirza Shehzad Akbar, are loyalists of Mush. IK himself was a fan of Mush and had fully supported him in 2001 presidential election and had become part of his team in 2002 for a year or so. The Punjab cabinet formed on August 26 had 23 members and in this 12 were from N and Q Leagues. Finance Minister Makhdoom Hashim Bakht and Food Minister Samiullah are ex PML-N. While 26 winning independents had joined PTI after the elections, but only one was accommodated, which caused resentment. 17 independents boycotted CM Buzdar’s dinner on August 31, including few PTI ticket holders who had a similar grudge. Fearing a revolt, 12 additional members were inducted on Sept 12 taking the total to 35. Among the new inductees, M. Aslam, Husnain Jahania, Amjad Cheema and Shaukat Lalika are independent MPAs. Six independent MPAs have been adjusted as advisers to CM due to a shortage of vacant ministries. The two MPAs who cribbed the most, Akbar Nohani and Taimur Lali, have again been ignored. Almost one dozen MPAs including the two have not been given any portfolio. The resentful lot will continue to pose a danger to Buzdar. Punjab Assembly presently consists of 354 MPAs from 5 parties. Out of them, PTI has 175 MPAs, N-League 159, Q-League 10, and PPP 7. From this, it is apparent that PTI has formed a govt in Punjab with a majority of 16 only. If Q-League is included, it takes the strength to 26. In case those who have been deprived ministries opt to rebel, this majority can reduce further. In the case at some stage, the 7 MPAs of PPP decide to join PML-N, it would add to the problems of PTI govt. To forestall such a development, the PTI with the help of Pervez Elahi is trying to form a forward block of 20-22 PML-N MPAs. The new regime under IK has made tall promises to build a corruption-free New Pakistan based on the model of Meesakh-e-Madina. IK has introduced simplicity and austerity and has made a good start by radically reducing the vehicles from 80 to two, and servants from 500 to two employed in PM House. Luxury and bulletproof cars are lined up for auction and it is intended to deposit the amount in national kitty. PM House will be converted in Research University and Governor Houses/state guest houses opened to the public. IK is determined to bring back the looted amount from abroad and to eliminate the scourge of corruption and for this purpose intends to strengthen NAB and make it independent. He has formed task forces to recover looted money stashed in foreign banks. He intends to reform the police and bureaucracy, improve civil service and FBR, and streamline education divided into three tiers, and make Pakistan clean and green by carrying out massive forestation. For the benefit of the poor, he plans to create one crore jobs, build 50 lacs cheap houses, improve govt hospitals and schools, issue health cards, provide interest free loans to the youth, make the state responsible for the care of street children, widows and crippled, dealing sternly with child abusers, and improve the dignity of a common man. Ending terrorism, resolving water crisis, building four new tourist spots every year, improving local bodies system, attending to water and transport issues of Karachi, addressing grievances of Baluchistan, and directing civil courts to complete cases within one year and doing away with VIP culture are other projects in hands. All those who had milked the tax payer’s money and misused national resources to amass ill-gotten wealth and stash it in foreign banks have been identified. Sooner than later the law of the land is expected to fall upon them to get back over $200 billion. Given the trend of accountability and the rising ire of the people against the looters and plunderers, it is earnestly hoped that the corrupt do not get away this time. Before the culprits are nabbed, forced to surrender their wealth and get imprisoned, I reckon they still have time and a chance to transfer their foreign accounts into Pakistani banks voluntarily, accept their crimes and apologize to the nation. This way, maybe some mercy is shown to them. The judiciary, NAB and the Establishment are backing the govt in this regard since Pakistan is going through financial crisis and foreign debts have crossed the figure of $80 billion while circular debt has reached Rs 1160 billion. IMF under instructions from the USA is not prepared to give a bailout package without tough conditions. By Mahboob Khawaja, PhD.Editor’s NoteOn July 25th, the people of Pakistan voted to break from the historically corrupt slate of candidates and voted in Imran Khan as Prime Minister. Khan is a retired cricket star who was not known for his team work, but that is a skill he will desperately need if he is to shift Pakistan onto a new track. While the people have voted, the power centers in the country are not being graceful losers. Instead, there have been credible threats against his life. Further, his party did not capture enough seats to control the parliament. Khan will need the continued participation and pressure of the people, as well as the skills of a seasoned statesmen, to steer Pakistan in a different direction. People have spoken out loud and quite logically, Imran Khan is the elected candidate to lead a futuristic system of political governance. To discard the incurable resentment against the former indicted criminals turned politicians, the people of Pakistan have rejected them at the ballot box. The July 25 national elections under a caretaking non-partisan government were a history-making event in Pakistan. Had this happened some sixty years earlier, Pakistan could have been a leading model of democratic norms, social and economic cohesion and political stability for other nations in Southwest Asia. Instead, the so called Pakistani politicians – former neo-colonial landlords – were masters of lies and deception; inept and greedy egomaniacs who stole time and opportunities from the young and educated generations. They robbed the people of the opportunity to foster political change and productivity that would make Pakistan a stable nation. While other progressive nations of the world encouraged participation and paved favorable opportunities to enlist an educated and intelligent generation of youth, Pakistani political leaders were naïve, indifferent, and guilty of plunging the nation into a moral and intellectual abyss. None of the Islamic parties appear to have any worthwhile activism in the outcome of the elections. Have they succumbed to be impotent for the future? Imran Khan, the newly elected would be Prime Minister wants to build a New Pakistan – a highly promising ideal and slogan under unusual political circumstances. Pakistan desperately needs a new constitution and a new political system of governance, to advance a socio-economic and political integration between all the culturally diverse people in Punjab, Baluchistan, Pakhtoonva and Sindh. Pakistanis lost East Pakistan to India and surrendered in 1971 because they were foolish, corrupt and leaderless. The national integration, security, end to foreign aid and strategic cooperation, and political cohesion of the country must assume priorities over other major policy agendas. To dispel history’s malicious ironies, Imran Khan will need to widen the scope of his thinking and strategic planning to encompass the prevaling political realities of Pakistan. Khan should be open to listening and learning all the time. Nothing is normal in today’s Pakistan. Institutionalized corruption is a favorite perversion to attract people’s support for new ideals of change and anti-corruption psychology. Most indicted criminals like Nawaz Sharif, Bhuttos, Zardrai – all wanted to serve the noble ideals of political fairness, honesty, socio-economic stability, human rights and law and justice. The problem was, none of them had such qualities in their own lives and characters. How could they have given to others what was not part of their own life and possessions? One cannot combine wickedness and righteousness in one human character. To make Imran Khan comparatively a credible candidate for genuinely soft approaches to articulate a new and sustainable combination of cultural thinking, ideals and strategies for a New Pakistan, it is imperative Mr. Khan must know and fully comprehend the nature and scope of the sickness that continued for decades to rob the nation of its due opportunities for change and future-making. He needs to understand that there has been a deliberate pillaging to the wealth and potential of Pakistan, and this has resulted in massive destruction of the socio-economic, moral, intellectual and political infrastructures of the nation. None of the former criminals were punished visa-a-vis their crimes against the nation. Mr. Khan does have first–hand knowledge and observations of lot of such accumulated pillage over the decades..
Mr. Khan appears to be patriotic person with immense know-how and abilities; however, he must realize rebuilding a nation is not an individual task but requires the collective efforts of wide range of thinkers, intellectuals, planners and expertise to work as a team and undertake proactive progressive assignments from top to bottom, not the other way in Pakistan. The dishonesty underlying Pakistan’s political landscape is nothing new or unknown. Allow this conscientious author to ask: WHO IS NOT CORRUPT IN PAKISTANI POLITICS? If you get a chance to read “Pakistan: Enigma of Change” (series of articles -1999 onward in Media Monitors Network, USA), and “Pakistan: Leaders who could not Lead” (10/2007, Media Monitors Network, USA; “Pakistan: Leaders who stabbed the Nation”, 2010; “Pakistan : Anatomy of Turbulent 68th Independence Day”, “Pakistan in Quest of Navigational Change” (2014), by this author, you should have no rational problem understanding the realities of today’s sadistic politics of Pakistan. For over 70 years, Pakistan had no viable system of political governance corresponding to the moral, intellectual and political genius of the masses. The ruling elite and the people lived in conflicting time zones generating wide gulfs of mistrust, worsened by foreign influence, corruption, military dictators, and disdainful politicians lacking a sense of honesty and accountability. They were deaf to reason and lacked a conscience necessary to serve the public good. How do you change such a filthy and stinking piles of socio-political culture whereby all the well known thugs and criminals have looted the resources, lifelines and positive energies of the people just for their own good? Mr. Khan must face the existing realities to THINK of the future or he will become part of the piled garbage – a junk history of the nation. He must enlarge the scope of proactive thinking and enlist people of knowledge, intellect moral and professional caliber and those without any stains on their conscience to help him carve a beginning for a new future. He must be careful not to include any pathological liars and interlocutors who were part of darkest chapters of Pakistan’s contemporary history. In parliamentary governance, Imran Khan with 115 seats at the National Assembly would require 22 more elected members to have 137 numbers for a political governance. There should be no horse-trading if he is to successfully enact an innovative strategy to build a New Pakistan. It will be imperative to put all those egoistic rulers of the past out of business. Their cumulative dishonesty underlying the failure of politics was clear and obvious. Perhaps, educated and intelligent Pakistanis living abroad could be more helpful to Imran Khan if he is serious about developing a New and people-oriented 21st century democratic Pakistan. Often historical errors of judgment and mistakes are irretrievable. If truth and logic has its place in the future-making of New Pakistan, it must have a new Constitution, Presidential system of political governance, a non-partisan strong community of law and justice, retrained elite in the civil services, independent foreign policies and constantly changing and progressive strategies to plan for the future and make it happen out of the planned ideas and workable ideals. Experts and intellectuals who deal with future-making must know the weaknesses of a non-productive socio-economic culture, highly corrupted civil elite and strength of the role of the masses for a durable future. Nothing will change or happen on its own without any critical thinking and prompt diagnostic action with proper follow-up methods of meeting the end purpose. To change and enhance political reformation and developing a new presidential form of governance, Imran Khan would urgently need a coalition of well educated, intelligent and honest proactive people of the younger generation to build a foundation of ideas and ideals and workable strategies based on refined plans for future-making. It is apparent that after this highly contested election, the nation will not accept normalcy of having previous indicted thugs, criminals and killers as part of the solution for future-making. Imran Khan must be careful not to indulge in melodramatic claims for the future; it could undermine his political future without making it happen on the ground. He should not rely on party loyalists or other seasonal collaborators, but those enriched with a sense of honesty and an obligation to work as a team and usher in a collective plan of action for change and progressively sustainable results. Political powerhouses must be connected to the thoughts and aspirations of the masses and be of service to them. The corrupting force of foreign aid must be stopped in order to implement a strategy of self-reliance and development of Pakistans own resources and socio-economic strength. Pakistan could be a progressive nation if there is no systematic corruption and if proactive plans for change are implemented honestly to make the difference. Nations are not built by chance or by the few, but by collective thinking and action plan to make the future happen. Then we must monitor its progress continuously with fullest accountability for the policy outcomes. Good judgments and logical pursuits seek rational and balanced strategies to ensure collective progress and accountability, lack of such imperatives eventually find failure, imbalance and treachery to the ideals of nation-building. Given his sense of proclaimed honesty and clean political character, Mr. Imran Khan must know the 21st century requisites of creative and effective leadership and must not allow ego turned into a kind of cancer that could consume the self and indulge in perversion of the challenging realities of Pakistan’s future-making. Pakistan may be viewed as a case study of the fight for the survival of modern human civilization. Its complex and dangerous problems are not without possible solutions and the strategies that the nation chooses to provide a model for the rest of the world. Humans have made enormous advancements in technology. Unfortunately, the challenges to human civilization are also rising quickly. Our ignorance and mismanagement of resources have led us down the path of uncertainty, and we now need all of our available technology to survive. Pakistan is perhaps most known for its struggle with terrorism. Meanwhile, few associate the country with the fight for modern civilization’s survival. Dwindling natural resources, continuous natural disasters, disease outbreaks, and economic instability in the region make for a worst-case scenario for human development. Pakistan is neighbored by China and India, the most populous nations on the globe, so its failure would start a chain reaction of global. On the other hand, the country’s success in meeting current challenges could make it a model for counteracting the problems of modern civilization. This article offers an overview of the major challenges confronting Pakistan, along with possible solutions that provide lessons for the rest of the world. An average Pakistani woman gives birth to five children, thanks to a preference for large families and a particular desire for sons. Because of high birthrates and increasing life expectancy, Pakistan has one of the highest population growth rates in the world and is expected to become the fourth-most-populous country by 2050. Rising population triggers many other crises, including food shortages, energy and resources crises, and disease outbreaks. Possible solutions: Pakistan’s rapid population growth highlights the need for effective family planning. Although the government has shown serious interest in the issue, the effects of its efforts are limited. According to one survey, each family welfare centre is visited by an average of two couples per day. The main reasons behind the problem are the overall low education and literacy rate and the inadequate mobility of Pakistani women. Pakistani society is dominated by men; women are scarcely seen in any walks of life, making them an invisible and inactive segment of the country. To help balance society, the government must require education for all citizens. Similarly, increasing the proportion of women in the workforce would increase women’s mobility. Along with free supplies of contraceptives, government incentives to limit childbearing can also motivate couples to use birth control. Nearly 75% of Pakistan’s population resides in rural areas, where agriculture is the way of life. Unfortunately, Pakistan has not developed its food security policy at the national level. The agricultural sector has slowed by 2.7% from 2000 to 2010, and the country now struggles to provide its people with a sufficient amount of food. Calorie availability is, on average, 26% lower than that found in developed countries. Due to an inadequate food supply, many Pakistanis face the problem of malnutrition. The unmanaged slaughtering of animals, unregulated livestock smuggling to neighbouring countries, and a shortage of livestock feed make it impossible for the poor population to access beef and other meat. Approximately 17,000 acres are deforested every year, causing the depletion of wild resources from the forest, unprecedented ecological misbalance, and loss of biodiversity. The main factors involved in decreased food production are overpopulation, water shortage, energy deficiency, poor soil, and natural disasters. Most of the soil in Pakistan is deficient in macro- and micronutrients. Salinity and waterlogging add to the problem. More than 70% of Pakistan is arid and semiarid regions, where rainfall is insufficient for irrigation of crops; most rainwater is lost due to rapid evaporation and surface runoff, while floods and droughts cause further damage. Rapid urbanization also contributes to food shortages, as fewer people are now available to work on farms in rural areas. Meanwhile, with almost no technology inputs in many parts of the country, traditional farming cannot meet the increasing demand for food. A lack of infrastructure makes it very difficult to transport food from farm to fork. Possible solutions: Pakistan has enormous potential to increase its food supply with agricultural reforms. Nearly 20 million acres of cultivable land is unused. Construction of major dams could provide an additional 2.5 million acres of land suitable for agricultural purposes. Pakistan has the chance to become self-sufficient if it can reach even 30% of its potential. National agriculture policy is needed to counteract the low food supply. The government has focused primarily on increasing wheat production, but in order to tackle malnutrition, it must focus on other nutritious crops, livestock, and fruits. To keep up with the increasing population, the agriculture sector must maintain an annual growth rate of more than 5%. The government, with the help of the international community, must improve rural infrastructure in order to develop Pakistan’s agricultural sector. Similarly, poor farmers need access to easy, corruption-free loans to increase their crop yields and improve agricultural practices. Among developing countries, demand for electricity will rise 40% by 2030. In Pakistan alone, the demand for energy is expected to increase sevenfold. Yet the oil- and gas-reliant country, which currently imports 75% of its energy, lacks the necessary infrastructure, long-term planning, and institutional frameworks to meet current needs, let alone future energy requirements. The energy crisis badly affects the country’s agriculture, economy, the way of life, and technological advancement. A continuous rise in oil prices and electricity is causing inflation and devaluing the currency. Energy is becoming increasingly inaccessible the average person. These conditions are raising agitation, anger, and riots in the frustrated people of Pakistan. Possible solutions: Fossil fuels comprise 80% of the world’s energy supply. Rising fossil fuel prices highlight the need for renewable energy sources in Pakistan. Hydropower, solar energy, biomass utilization and wind power are some of the best sustainable energy options for Pakistan. Pakistan’s location is blessed with unending sources of solar energy. Pakistan receives up to twice the solar radiation needed to power solar photovoltaic appliances, such as water pumps. It is estimated that Pakistan’s hydropower is operating at only 15% of its potential. Biomass utilization, especially biofuel production, can fulfil the oil requirements of energy. About 70% of Pakistan’s land is uncultivated and could be utilized to grow crops with high biofuel potential. Livestock in Pakistan is a good source of wet dung and can yield substantial biogases for fuel purposes. Additionally, Pakistan has the capacity to produce 400,000 tons of ethanol per year from its sugarcane crops. Pakistan’s rapid urbanization is creating numerous problems, the most threatening of which is disease outbreaks. Water sources in and near big cities are at risk due to wastewater mismanagement. In Pakistan, wastewater use in agriculture carries a wide risk of diseases. Food-borne diseases are also a concern, and natural calamities such as frequent floods add more severity to the outbreaks. One study of southern Punjab, Pakistan’s most populous province, found that diarrhoea and hookworm related diseases were common among farmers working in farms fed by wastewater. Other diseases run rampant: Several types of hepatitis are very common. Due to political propaganda and misinformation, the fight against polio is much tougher. HIV is on the rise. And typhoid, malaria, and tuberculosis are still uncontrolled. Currently, the most serious disease outbreaks are dengue hemorrhagic fever (DHF) and Crimean-Congo hemorrhagic fever (CCHF). DHF is mostly found in the eastern part of the country, while CCHF is mostly found in the west. From 2005 to 2006, more than 3,640 patients were found to have DHF symptoms. Possible solutions: Proper wastewater management can minimize the risks of many diseases, such as hepatitis, malaria, dengue, and typhoid. Although using wastewater in agriculture can be beneficial for Pakistan’s nutrient-deficient soil, its use must be coupled with the pretreatment of water to get rid of any chemical and microbial contamination. Diseases that are spread by human contacts, such as CCHF, must be handled with proper care when dealing with patients, as well as animals. Education and awareness by religious scholars can help to lift the fight against polio and HIV. Health must be given priority in rehabilitation after natural disasters. Along with the global community, Pakistan’s government must be built measures for fighting disease outbreaks—especially ones that may bring global catastrophes. According to the Ministry of Finance’s annual economic survey, Pakistan’s GDP growth in 2013 was 3.6%, down from 4.4% in the previous year. The economy is severely affected by the energy crisis, terrorism, and the global economy, and the country operates with a large deficit, thanks to the administration’s reluctance and inability to cut spending or raise taxes. Meanwhile, the value of the Pakistani rupee has decreased in recent years. Each time the rupee falls, both inflation and foreign debts increase. More than 60% of Pakistan’s population lives below the poverty line, leaving many unable to obtain or pay for food, healthcare, education, and energy. While many factors contribute to the country’s rampant poverty, the energy crisis, in particular, has a strong effect, because of its negative impact on Pakistan’s agricultural and industrial sectors. Entire factories are often outsourced, which leads to unemployment and disturbs supply and demand and the balance of imports and exports. Unemployment and poverty have led to high rates of depression, anxiety, and suicide, as well as an increase in crime. Unemployed youth are frequently targeted for recruitment by terrorist organizations, who offer them the means to afford food and an opportunity to show their anger against society. Most of the country’s suicide bombers are under 20 years old. Possible solutions: Pakistan has to deal seriously with its energy crisis. Consistently available and affordable energy would lubricate agriculture and industry, which would, in turn, raise GDP and increase employment opportunities. Coupled with reforms to corrupt government spending and tax collection policies, increasing tax rates on certain sectors would provide the country with much-needed growth. Improved infrastructure would result in better trade opportunities with China and central Asia, while better trade between India and Pakistan could bring enormous economic benefits to both countries. The government needs to focus efforts on decreasing suicides and improving mental health. Public sports programs and technical education for unemployed youth would provide the country with young, healthy, and skilled labourers and members of society. And laws aimed at improving income inequality could help to eliminate hate throughout society. Mother Nature seems unhappy with Pakistan, which faces severe crises with continued floods, earthquakes, drought, and global warming. Despite heavy investment in irrigation, Pakistan is vulnerable to continuous floods. Due to climate change, the intensity of floods in the Himalayan rivers has increased in the past 20 to 30 years. Human intervention in Pakistan has worsened scenarios by building unnecessary embankments and improperly using the land. The Indus flood of 2010 was one of the greatest disasters in the history of mankind, affecting more than 14 million people and killing nearly 2,000, with approximately US$9.5 million worth of losses to business, agriculture, and other parts of the economy. According to the UN, the humanitarian crisis caused by the flood was even greater than Japan’s 2011 tsunami and the disastrous earthquakes of Haiti and Kashmir. Nearly all the world’s glaciers are on the verge of disappearance, including the Himalayan glacial reserves. Billions of people in the Indian subcontinent rely on this water reservoir, which supplies the Indus, Ganges, and other rivers. Over the past century, the average global temperature has increased by 0.6°C (1°F) and continues to rise. The Himalayan glaciers have begun to melt, threatening frequent floods, loss of water reservoirs, and a rise in sea levels. Climate change has also been observed as a trigger for the increase in the outbreaks in northwest Pakistan of Plasmodium falciparum, a parasite that causes malaria. Similarly, a continuous decrease in precipitation, especially in arid and semiarid areas, is causing a long-term drought. Pakistan is located in a region that experiences frequent earthquakes. In 2005, a devastating, 7.6-magnitude earthquake killed more than 82,000 people and injured more than 126,000. The earthquake also triggered massive landslides and caused dams to break. Possible solutions: Natural calamities cannot be avoided, but their intensities, frequencies, and effects can be minimized. Floods in Pakistan are caused by excessive monsoon rain and global warming. Construction of dams can help to store the excess floodwater, which can be used for agriculture and to generate hydroelectricity. Global warming must be fought at the global level by controlling greenhouse gas emissions and by using a carbon credit system. The government of Pakistan must ban the extensive deforestation in the country, as well as solve the energy problem because the trees are mostly cut for energy requirements. Improving public transport systems would minimize individual car usage. There is also a need for nationwide applicable building construction policy to control the effects of earthquakes. Earthquake-proof houses have proven effective, and nationwide quick-response emergency teams equipped with modern technologies can minimize the aftereffects of natural disasters. Pakistan is of great geostrategic importance. India and Pakistan have fought three major wars and many small military conflicts. The warrior minds are visible as both sides spread the hate and push for war at all times. It may be that they simply do not fully understand the consequences of a war between two countries. The outcomes will not be regional; they will bring global suffering. India is a big country with superiority in conventional weapons and instruments of war. However, Pakistan’s nuclear arsenal compensates for this disparity. Each country has more than 100 nuclear warheads at its disposal. A nuclear war between the two countries could kill more than 20 million people in the region, while a nuclear winter caused by the generation of smoke could cripple agriculture of the whole world. Possible solutions: Both Pakistan and India—and in fact, the entire world—are left with no option but to resolve all their issues through dialogue. War is never a solution to any problem and always a trigger for other problems. The international community must insist that both countries sit together and have a dialogue under UN mediation. There are better uses for nuclear technology than bombs. In the winter, winds are blown from Pakistan to India, and in the summer, Pakistan receives winds from India, making it impossible for these neighbours to think that they will be unaffected by nuclear war. Strategies, Prospects and Hope Pakistan is facing huge, interconnected problems in many areas. The problems begin with people, and, in Pakistan’s case, with overpopulation. The increasing population will require more energy, food, employment, and health facilities. The avail problems, including employment, food production, and underdeveloped infrastructure. The long-term strategy should focus on health care, education reforms, infrastructure development, promoting agriculture, and counteracting explosive population growth. Conditions in Pakistan are not perfect, but not all is bad. Pakistani society looks well aware of the challenges they are facing. Thousands of new PhD scientists generated by Higher Education Commission of Pakistan look committed to providing scientific solutions to the problems Pakistan is facing. For instance, researchers have introduced drought-resistance crops to counter the food shortage. High-yield seed varieties are being used to increase the production of food and fodder crops. There is a considerable amount of ongoing practical and applicable research on renewable energy, and food-safety experts are doing considerable research to ensure safe food handling. Pakistani authorities are serious about mitigating the country’s challenges. For years, Pakistan’s government has tried to control the population. The Lady Health Worker (LHW) program has succeeded by providing basic maternal health facilities in rural areas. The LHWs provide guidance in contraception processes and lead to jobs and mobility. Even given the tumultuous world economy, the Karachi Stock Exchange is showing exceptional progress. In 2013, exports increased slightly, while imports declined. The federal budget looks promising in raising tax net and revenue, controlling inflation, and improving development projects. The government is working to build new dams for controlling floods, as well as to increase hydropower In light of the recent disastrous floods and earthquakes, the role of Pakistan’s people and the government has been appreciable. Establishment of the country’s National Disaster Management Authority looks like a good initiative by the government to manage the effects of natural disasters. And the international community’s responses have shown that it is ready to stand with Pakistan. The Pakistani political regime looks promising in promoting good relations with India. As reported by The Indian Express, Pakistan Premier Nawaz Sharif has said that he is looking to make a new beginning with India in pursuit of disarmament and nonproliferation and that Pakistan is getting out of the arms race. Such statements are encouraging for the peace process between the two countries. We humans have been given brains more tremendous than any other creature’s. The only destruction we can inflict on ourselves is to be ignorant of what is happening around us. Most of the world’s countries will face the same scenarios that are now happening in Pakistan. Pakistan’s geographic centrality means that any crisis can quickly spread to neighbouring countries. Even though its problems are great, there are solutions that are applicable to the rest of the world. Pakistan still has the strength and opportunities to fight back. The country’s failure or survival will symbolize the defeat or success of the fight for modern humanity. Imran Ali (lead author) is a postdoctoral fellow at the Plant Biomass Utilization Research Unit at Chulalongkorn University in Bangkok, Thailand, and a lecturer at the University of Balochistan in Pakistan. Co-authors include Ali Akbar (University of Balochistan, Pakistan), Hunsa Punnapayak (Chulalongkorn University), Sehanat Prasongsuk (Chulalongkorn University), and Benjawan Yanwisetpakdee (Chulalongkorn University). The authors thank Chulalongkorn University in Thailand for providing access to literature. The Research Grant Funds have been provided by agreement on Post-Doctoral Research Grant Allocation from the Ratchadaphisek Somphot Endowment. After Plunder at the Hilltops Now Plunder at Islamabad Absolutely shocking. This super cracker scandal originates right in the heart of Islamabad and that too on Constitution Avenue. The Grand Hyatt currently under construction in Islamabad on a 13.5-acre (55,000 m2) site (6.75 hectares). This development consists of a 45-storey hotel and serviced apartments tower along with two smaller 20-storied residential & office towers. The smaller towers are linked together by means of a bridge at the 20th floor, aligned with the axis of the Constitution Avenue. The land for Grand Hyatt land in Islamabad was sold to the Bismillah Group for peanuts, i.e Rs. 1.9 Billion by CDA. This is a separate matter, as to Who is behind Bismillah Group ? Or this Bismillah Group owner is the elder brother of Al- Rahmet Group, the party which bought Sharif’s property pledged to banks on account of their default on bank loans. Later, Sharif family had informed that sale agreement of Ittefaq groups four units had been finalised with Al- Rehmat group. He said that Al- Rahmet group would buy the units for Rs. 6 billion and schedule of payment had also been decided. So properties were sold to this for Al-Rehmat Group for Rs. 6 billion in order to compensate against defaulted Bank loans. However, knowledge people say, that present Market value of the four units was priced between Rs.22-25 billion. Here’s the brilliant move. The payment to CDA is to be made in very easy instalments over 13 years. And Here’s even more brilliance. Not a single Rs has been paid to CDA as yet but the Authority has very generously transferred legal ownership to the Bismillah Group. And the final piece in this brilliant broad daylight highway robbery is this. This outstanding very well connected owner in cahoots with all the powers that be then uses this land as collateral for a Rs 5 Billion loan from the Bank of Punjab to develop the Project. Who says money doesn’t grow on trees and cannot be created out of thin air. Apparently, the Public Accounts Committee was apprised of this huge white collar daylight robbery by the Auditor Generals office. It is said that even the likes of Syed Khurshid Shah were heard saying ….” this is too much even I haven’t seen such blatant and brazen corruption and misuse of power and authority”. Result? No action. No article in any paper. No talk show. Quite on all fronts. Rauf Klasara only hinted yesterday on the scam in very few words. I was alerted when the name of Haroon Pasha appeared on the TV screen. The real owners of this property must have really everything under tight control. The issue has been under investigation by FIA. Only yesterday, Ch Nisar in a press conference expressed his absolute helplessness in this scam, saying that he is under extreme pressure. Apparently, all this is available in the records of the Auditor General of Pakistan’s office as well. According to Rauf Klasra, the man allegedly behind the whole affair is Haroon Pasha – Advisor to the Sharifs in London and Jeddah. The Chief Minister of KP’s previous government, using his own discretionary powers allotted a large plot to himself at Dunga Galli. Six close relatives of the sitting prime minister have ‘manoeuvred’ to own extravagant residences at priced locations in Dunga Gali and Nathia Gali. It was Akram Khan Durrani who alloted himself a corner plot in Dunga Galli overlooking a sloping hill, which too has become his property. The contractor who built the house for Akram Durrani was an official NWFP Building and Roads department contractor who used govt funds and material for the same. The same contractor was hired by the Sharif family to build their mansion a couple of hundred yards away on instructions of Durrani. The 800-meter kutcha trail to the Sharif residence from Dunga Gali bazar was concreted and widened, and street light poles erected through the courtesy of Ameer Haider Hoti the C.M of ANP government a couple of years later. A 1.5-kilometer water illegal pipeline was laid by Hoti’s govt from a Chashma exclusively for the Sharif mansion. The neighbourhood approached the govt for their share of water from the pipeline but was turned down. During the construction period, two suites of Govt House Nathiagali remained in the possession of Sharifs, besides the complete Resthouse at Dunga Galli Water Tanks for the staff. Similarly quite a few owners of adjacent plots were forced to sell their plots to the Sharifs, again courtesy of NWFP Govt. One complainant was Asma Jahangeer who stood her ground! A fine example of close cooperation between so-called political rivals! The Khoon League criminals— sorry, politicians– were painting a different picture in order to divert the masses’ attention from their crimes. Hope the PLM–N ( the Punjab Loot Maar-Nuaserbaaz ) Party will take pity on the poor Punjabis and learn something from the KP government. I hope Mulla Diesel ( MD ) will start speaking the truth for a change. Unnoticed in the heat of the moment and the prejudices of the politics, a quiet but remarkable change is taking place in Khyber Pakhtunkhwa. Even a casual visitor cannot help observing that every child that you come across is attending school, that teachers are present in classrooms and doctors are available at the rural health centres. The Public Trust Doctrine, now a part of common law, recognises natural resources like air, sea, water and the forests as public property and considers it unjustified to make them a subject of private ownership. The Supreme Court of India in its recent judgements has declared that the state is the trustee of all natural resources which are meant for public use and enjoyment. The public at large is the real owner of the beaches, running waters, airs, forests and ecologically fragile lands, while the state is only a custodian. Such resources should be made freely accessible to all citizens and not converted to private ownership. Invariably the well-connected politicians, bureaucrats, generals, judges and corporates manage to get these plots allotted for themselves. An ex-chairman of Senate now owns 16 Kanals of public property on the hilltops of Dunga Gali. There are hundreds of other similar examples where the friends, relatives and cronies have been benefitted by each successive government. The development of hill resorts appears to focus exclusively on appeasing its privileged residents. Trees are being uprooted to widen the roads solely to please this polluting class, now whizzing through (rather than walking) in their noisy and smoke-emitting luxury land cruisers. One can get some idea of the level of noise pollution and carbon emission by the fact that 200,000 vehicles transited from Murree on Eid day in 2015. There is an urgent need to rethink ‘development’ on the hilltops. There should be a complete ban on all land allotment and construction. Invoking the doctrine of public trust, owners should be made to surrender the already allotted land and be suitably compensated. All 47 government guest houses currently being used by government officials and their families should be opened to the public. The ‘katcha’ trails should be left in their perennial condition and saved from decorative ‘eviscerating’ that benefits only the contractors and brick makers. A ‘park and ride’ system could be introduced, making all vehicles park and then having people use shuttle services beyond a certain point. Private cars entering the ‘Galiyat’ roads ought to be heavily taxed. Most homes and hotels release their raw sewage directly down the slopes of the mountains. All such premises be fined heavily and closed down till they can build effective septic tanks. Likewise, the slopes and trails are riddled with plastic bottles and solid waste. GDA could learn from Singapore where one would be fined $2000 for littering the first time and then up to $10,000 for the subsequent convictions. Despite heavy rainfall, there is a shortage of water supply in the ‘Galiyat’. Almost no one appears to be utilising the sloping roofs for the collection of rainwater – which can be easily achieved by installing trays at the lower surface of the slopes and collecting the water in storage tanks. Finally a request on behalf of the butterflies and birds of the pipeline trail between Dunga Gali and Ayubia. Please ban the movement of motorbikes on this path so that we can live our lives without rubbing shoulders with the polluting elite of Pakistan.? This is a separate matter, as to Who is behind Bismillah Group? Or this Bismillah Group is the elder brother of Al- Rahmet Group, party which brought Sharif’s property pledged to banks on account of their default on bank loans. However, knowledge people say, that present Market Value of the four units was something between Rs.22-25 billion. It is said that even the likes of Syed Khurshid Shah were heard saying …” this is too much even I haven’t seen such blatant and brazen corruption and misuse of power and authority”. What is the result? No action? No article in any paper. No talk show. Quiet on all fronts. Spring is back in Pakistan. And so is the exclusive Defence Day Parade which is annually held on March 23rd to mark the Pakistan Resolution Day. 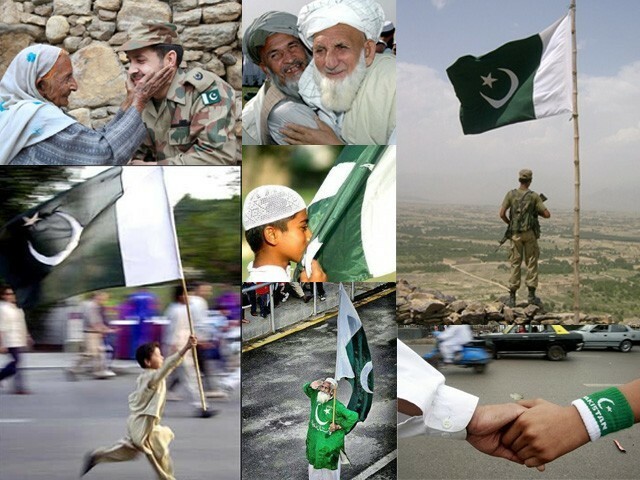 The day when all the Muslims of the sub-continent agreed upon to fight for a country which they can call ‘home’. At this time of the year, one can catch quite a glimpses of colours and smiles all around Pakistan. Peace has returned to the country and so is the tourism. Credit goes to the Pakistani nation which stood resilient, fully supporting the military in their operations against militancy. The resolve this nation showed during these hard times is reaping rewards now. Pakistan, who lost her tourists to other regions of Asia is fast becoming famous around the tourism circle for her magnificent beauty and charm she offers to the visitors. Pakistan day parade starts with zeal and vehemence. The capital city Islamabad roars with jet thunders rehearsing for the main day Parade from the mid of March. Islamabad, the capital of Pakistan lies on the Potohar Plateau, one of the earliest sites of human settlements in Asia. The word Islamabad means ‘the city of Islam.’ Famous for its greenery, peace and cleanliness, Islamabad is highly developed and is ranked second most beautiful Capital city in the world. Apart from the natural beauty and huge green forests, Islamabad is also famous for the Faisal Mosque – the largest mosque in South Asia and sixth largest in the world. The mosque is a major tourist attraction and is referred as a contemporary and influential feature of Islamic architecture. The trek trails of Margalla hills offers a breathtaking experience to the trekkers. Other places worth seeing in this city include Lok Virsa Museum, Rawal Lake, Pir Sohawa, Islamabad Zoo, Pakistan Museum of National History and Saidpur village beside many others. Pakistan has a very rich cultural heritage. The variety Pakistan offers is a true delight for the tourists and necropolis fans. The latter especially will not be disappointed. Starting from the ancient settlement of Taxila in the western outskirts of the twin cities of Rawalpindi and Islamabad is a UNESCO World Heritage Site. It is considered one of the most important archaeological sites of South Asia. Taxila was a centre of learning and is considered by some to have been one of the earliest universities in the world. The archaeological sites of Taxila include buildings and Buddhist stupas from the 5th century to 6th century AD. The main ruins of Taxila are divided into three major cities, each belonging to a distinct time period. These ruins reveal the pattern of urban evolution on the Indian subcontinent through more than five centuries. Sirkap is the citadel of the ruined cities. It was a planned city with a multicultural population. When you visit Sirkap you can see the interesting style of masonry up till 6th century when the city was destroyed by the White Huns. Julian is a 300 meters easy climb you will see a well-preserved monastery and the main stupa beautifully decorated with the statues of Buddha and other deities. The local guide will explain all the important aspects of the monastery and Stupa. Julian was the place where Sanskrit script was invented and it was a well-known college in its times (2nd to 6th century AD). Nearly everyone on Earth is familiar with the Great Wall of China – well the Ranikot Fort is Pakistan’s answer to its much better known Chinese counterpart. But the Great Wall of Sindh is not a protective barrier like the Great Wall of China. Rather, the walls form the outer defence system of the fort of Ranikot. Within the outer walls there are three inner forts named Miri Kot, Sher Garh and Mohan Kot – and together they constitute what is generally regarded as the largest fort anywhere in the world. Ramkot Fort is a major landmark of Mangla city. The fort, located on the top of a hill and surrounded by River Jhelum from three sides, presents a picturesque landscape. To approach the fort, you have to take a boat from the water sports club at the Mangla Dam for an almost 10-minute ride, would reach the northern extremity of the reservoir. Here, you will find a gigantic fort structure located on the summit of the hill. A short but steep climb uphill takes you to the fort. Built between the 15th and 18th centuries, the Chaukhandi Tombs now form a remarkably well-preserved necropolis that often attracts curious visitors and archaeologists alike, but the area is not without foreboding legends. The tombs at Chaukhandi are renowned for being one of the most haunted sites in the region, and visitors are particularly warned against entering the graveyard at night. Avoiding the tombs at night isn’t bad advice, haunting or otherwise, because the details and drawings on these fascinating artifices are clearly best experienced in the broad light of day. A fact for which many visitors are likely very thankful. From around the 14th century through to the 18th century CE, the Thatta region was inhabited by local royalty who used Makli Hill as their communal burial site. Hindu, Islamic, Asian, and other styles can be picked out among the collection of tombs, which have been split into four distinct periods of creation corresponding to the ruling society of the time. Some of the tombs have tall columns, while others are decorated with sweeping arches. Altogether, the hill is like some sort of archaeological dreamscape. In the town of Thatta, there is famous Shahjahani Mosque, also known as Jamia Mosque of Thatta, with its beautiful architecture. This mosque was built in 1647 during the reign of Mughal King Shah Jahan. The mosque is considered to have the most elaborate display of tile work in South Asia and is also notable for its geometric brickwork – a decorative element that is unusual for Mughal-period mosques. The mosque has overall 93 domes and it is world’s largest mosque having a huge number of domes. It has been built keeping acoustics in mind. A person speaking at one end of the dome can be heard at the other end when the speech exceeds 100 decibels. The Mohatta Palace is a museum located in Karachi. It was built in the posh seaside locale of Clifton by Shivratan Chandraratan Mohatta, a Hindu Marwari businessman from modern-day Rajasthan in India, in 1927. The architect of the palace was Agha Ahmed Hussain. Mohatta built the Palace in the tradition of stone palaces in Rajasthan, using pink Jodhpur stone in combination with the local yellow stone from Gizri. The amalgam gave the palace a distinctive presence in an elegant neighbourhood, characterized by Indo-Muslim architecture which was located not far from the sea. Takht-i-Bahi, the most prolific religious and ceremonial complex of the Gandhara Civilization, is rightly known as the jewel of Pakistan’s cultural heritage. A visit to Takht-i-Bahi -Throne of Origins- offers a chance to explore the history of the Gandhara Civilization. Takht-i-Bahi is also referred to as the Monastery of Kanishka, the great Kushan King, who ruled Gandhara in the 2nd century CE and was famous for his military, political and spiritual achievements. It was first excavated in 1836, and numerous items were recovered, including coins from different periods. Most of the statues are now on display at the Peshawar Museum, which contains the largest collection of relics of the ancient Buddhist civilizations. Some of the most valuable pieces of Gandhara sculpture, now found in European museums, were originally recovered from Takht-i-Bahi. With the list extended to Mohinjodaro ruins, which was one of the largest and most advanced cities in the world during its time, to the Baltit Fort and the lunar landscape, a mud volcano and bizarre rock formations of the Hingol National Park, the list seems unending. How to not talk about the Muslim Sufi Shrine in Multan, the mystical branch of Islam. People say that, in Thailand, Scotland or Morocco, you find the most hospitable people in the world. Well, clearly, they haven’t been to Pakistan. Whereas it’s true that these countries are very hospitable, Pakistanis bring it to the next level. While the people of Pakistan come from a variety of distinctive ethnic groups and speak a number of different languages, they share at least one thing in common: a uniquely gregarious nature. In this country, you are the guest, which means that the locals strive for you to have the best possible time in their country or region. The hospitality can even be overwhelming – for your trip to Pakistan, prepare yourself for the majestic treat.